As we approach the one year anniversary of the earthquake, tsunami, and nuclear disaster that dramatically impacted eastern Japan, many are assessing what progress has been made in recovery efforts. Sobering reports have noted that, while the most dire situations have been contained and some debris has been corralled, life has still not returned to anything approaching normal for thousands of people and hundreds of towns. Equally worrying, many of the long-term problems evident long before the disaster continue to persist due to the absence of strong leadership and willingness to make difficult decisions in political, economic, and social realms. The book Reimagining Japan, a set of essays collected and edited by management consulting firm McKinsey & Company, digs deep into all of these issues with candor and criticalness, but also hopefulness. It was the last of these that the editors felt most conspicuous by its absence in contemporary discourse on Japan. For those not familiar with current or historical Japan, the book is a great overview of the major forces that have shaped the country. For me, who first learned about Japan through its pop culture, the essays represent a comprehensive summary of my “reeducation” about the reality on the ground. The book covers a wide range of fields, so there is something for just about everyone. I’m personally interested in how Japan has been proactive in addressing environmental and urban development issues, but at the same time has so much potential for continued improvement and sharing its accumulated knowledge. Many of the challenges noted are faced by other countries (or will be in the future), which is what makes the prospect of finally addressing them so exciting. 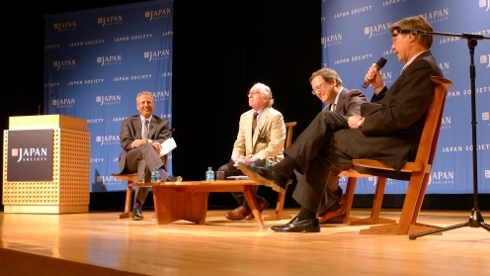 Japan could develop solutions to its systemic challenges and become a sought after source of expertise to others in the process. After reading through all of the essays I was struck by one theme that seemed to return again and again, that Japan’s greatest barrier to growth is self-imposed trapping and blocking of ideas and talent. Insufficient childcare, glass ceilings, and outright discrimination prevent women from fully participating in the economy. A culture of risk avoidance and severe consequences for failure discourages would-be entrepreneurs from taking chances with aggressive, forward-looking business ideas. The insistence on consensus in organizations prevents individuals from raising concerns, particularly when they are opposed to prevailing opinions. These and so many other examples suggest Japan may already have the resources to solve many of its problems, if only its rigid systems could soften up just enough to allow talent to fill its leadership vacuum. Profound and beautiful post, Michael. I hope Japan sees how much opportunity they are leaving the table. Thanks Christa. I think they finally do, or at least are beginning to understand. One upshot of the failure of government to seize on the crisis as an opportunity for transformation has been agitation and engagement by ordinary people who would previously have given little thought to political issues.